Living fashion picture, tableau vivant by Ute Ploier at the Departure Fashion Night 13 Festival. Hi, the second living picture at the Departure Fashion Night used the sujet of a busy and relaxing bathroom to present Ute Ploier's new womenswear collection. It was the first women's collection shown in Vienna by Ute Ploier, who made a name as a menswear designer before. Since 2012 Ute Ploier also teaches fashion design at the University of Art and Industrial Design in Linz. How did you like the bathroom living picture by Ute Ploier? 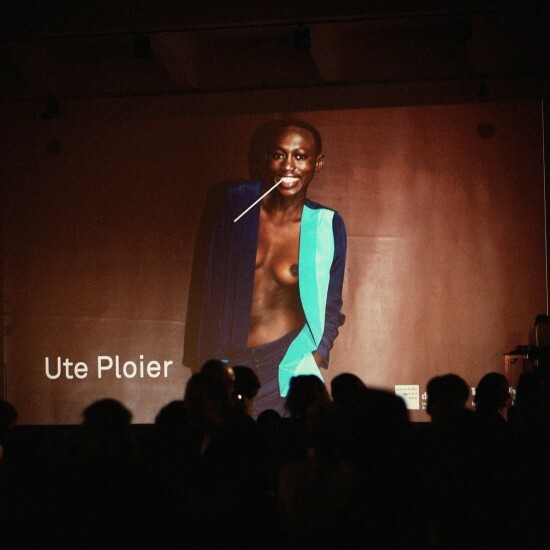 Will Ute Ploier be successful as a womenswear designer as well?